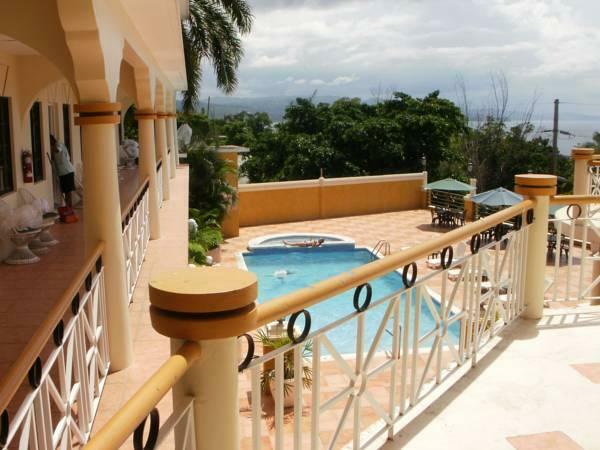 ﻿ Best Price on Grandiosa Hotel in Montego Bay + Reviews! This pleasant hotel is within walking distance of Doctor’s Cave Beach and Cornwall Beach and just 2 minute drive from Montego Bay Airport. Rooms have views of the ocean, garden or pool views. The Grandiosa Hotel has its own on-site restaurant, the Grandiosa, which serves local and international dishes. The hotel has an outdoor pool and a business center. Many helpful amenities are offered to guests, including an airport shuttle, tour desk, and currency exchange. Room service and newspapers are available upon request. All rooms at the Grandiosa Hotel have seating areas, as well as cable TV and free Wi-Fi. Select rooms include balconies, refrigerators, and bath amenities. Montego Bay’s Hip Strip, home to restaurants, bars, and nightlife, is less than 5 minutes from the Grandiosa Hotel. The Agua Sol Theme Park is only a kilometer away. Upon check-in, photo identification and credit card are required. All special requests are subject to availability upon check-in. Special requests cannot be guaranteed and may incur additional charges. The airport shuttle is complimentary from 9 am to 6 pm, outside of those hours an extra charge applies. The shuttle service has an extra cost. The staff were extremely friendly especially Grace. The bar staff and chefs were also very helpful. Ground floor rooms close to pool and great view of the ocean. The stay was excellent. Staff went out of their way to assist with any thing that was required. They would help to call for taxi and provide assistance for the elderly too. Grace at front desk. Absolute Star. 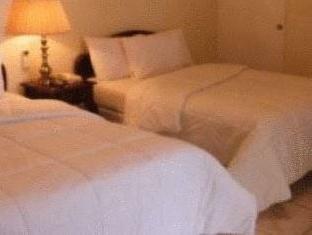 Location was good, close to airport and beach and Offered complimentary shuttle to hip strip and airport. Cheap and cheerful. Exceeded my expectations, at the price we paid I expected very little but ended up being surprised at the spacious rooms, great view, nice pool, amazing restaurant and the exceptional staff. a nice hotel close to the airport. disadvantage was that we were on the 2nd floor and there was no lift, making taking luggage heavy. a basic but nice hotel. The hotel itself was great but it was a little far from everything. You have to catch a taxi to the Hip Strip and Downtown but it's not very expensive. Overall we had a great stay. Positiv: die Nähe zum Flughafen, wir hatten ein Auto, daher auch schnell die Sehenswürdigkeiten erreichbar. Negativ: Das Personal. Ich glaube zum lachen gehen die in den Keller.... Das Restaurant, verkaufen wollen sie anscheinend auch nichts. Es interessiert niemanden wenn man sich an den Tisch setzt. Nach 30mim kam dann jemand um die Bestellung aufzunehen. Und wir waren die einzigsten Gäste.